You can see that it's certainly not as active as Reddit (though few sites are), and thus you can contribute to the activity of the site by simply signing up (no email address required) and then upvoting and sometimes downvoting links. It's easily possible to create a subreddit within Reddit in any language, but what you can't do is have subreddits within that, which limits the appeal. 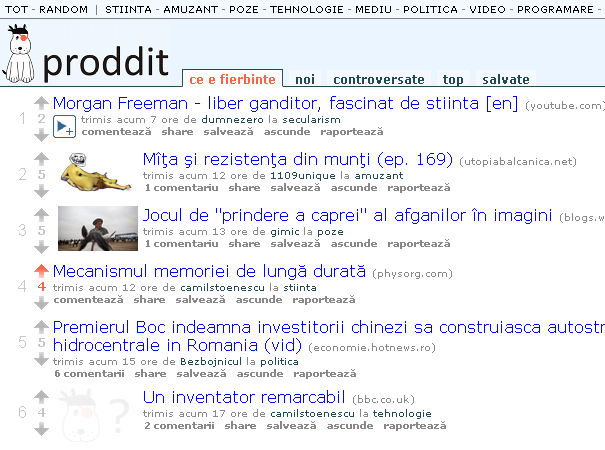 It's not possible to have a /r/Romanian/stiinta subreddit, for example. That's why Reddit itself isn't capable of fully appealing to users in another language unless they are content with having a single subreddit and nothing else.